plays improvised pianomusic inspired by the experiences of his life in a trailer somewhere in the west of germany. Also he invites you to make up your own stories in your head while listening to his soundtracklike tunes that wander somewhere between jazz, classic and folk. 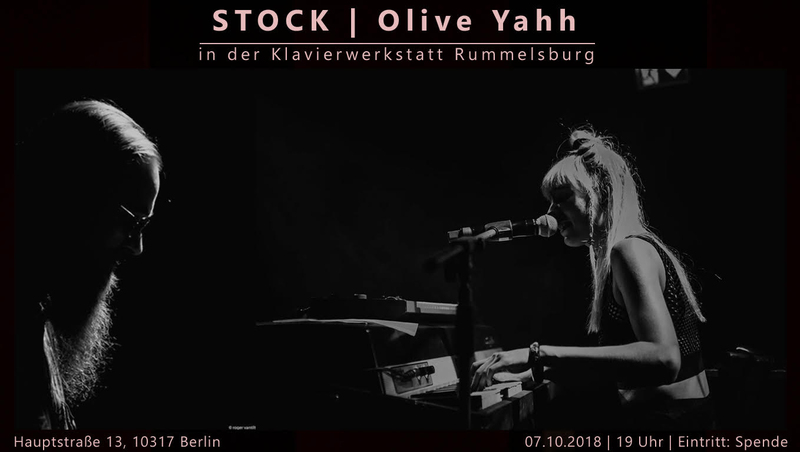 is the solo project of Berlin-based musician and visual artist Olivia Wendlandt. She sings, plays keys and synthesizer, writes songs and paints – creating her own intimate and unique world and inviting you to lose yourself within. Olivia is well-known as the frontwoman of her band Relaén and encompasses her musical work painting the artworks of the band’s own releases on Wadada Records. Fearless of showing emotions, with a magnetic and vulnerable voice and keyplay which is rooted in classical music and Jazz, she explores the frontiers of Soul, Experimental, Hip Hop, Vaporwave and more Jazz. She has performed alongside, supported and collaborated with acts like Roy Ayers, Ed Motta, Trio Azymuth, Noname, Akua Naru, Blitz the Ambassador, Fleur Earth, Suff Daddy, Flofilz, Wun Two, Dramadigs and future soul collective 30/70 from Melbourne.